The first 3 brushes my main. 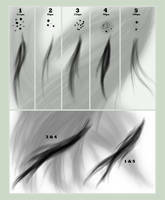 Actually it's just a variation of one standard round brush. I often paint a picture using only this brush. 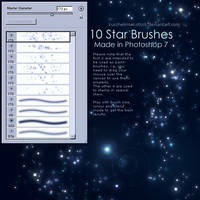 7 -13 multipoint brush, typically used to detail the skin, hair, and they are more easy to mix colors. 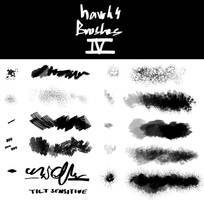 Brush number 14 I like to use instead of the standard round, it has a special effect. 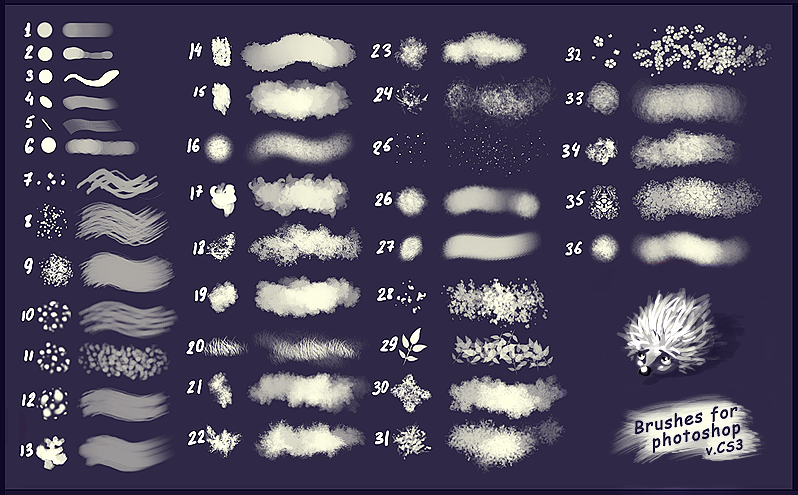 other brushes I do not use often, only for some texture effects. 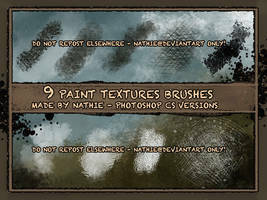 Brush at number 17 is not mine, it's very old I do not know the author, but it's one of my favorite brushes, and it is very cool and fast to paint clouds. I'm insecure, that number 22 is my brush.... hmm ... if you know who the author tell me please. 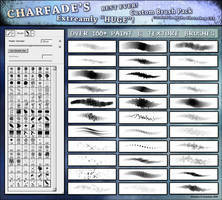 Installation: right-click on the canvas -> Loade/Replace Brushes -> select the file. 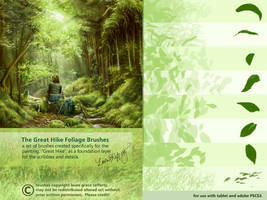 If you use it is not necessary to specify me as the author or something else, it's free! 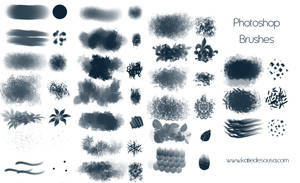 I make a new brushes from time to time, so maybe later I'll do another brushes pack. I'm new to this. What app do I need in order to open the download? Thank you! 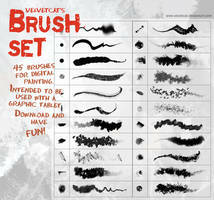 Super Brushes! Thank you a lot! 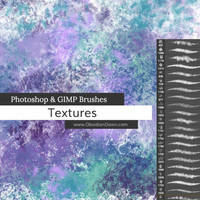 Thank you so much for sharing your wonderful brushes. Thanks for the brushes! Eight years latter, they're still pretty usefull and cool! They are great thanks for sharing! Thank you so much! You're an amazing artist and person! Can't wait to use them! 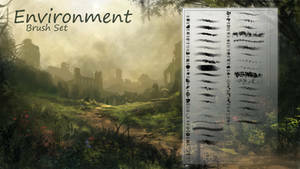 Do you have any idea if these will work with PS Elements 8? They should be able to. I would recommend trying to use them. 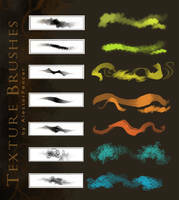 Thank you so much, amazing brushes ! These look great! 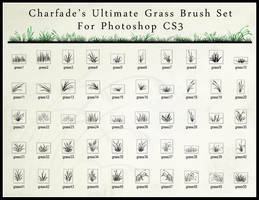 Do you know if they're compatible with Photoshop CC? 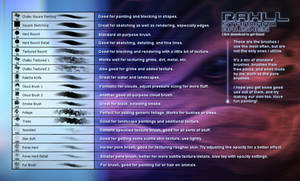 Ooo, I love #23, thank-you for making this pack! 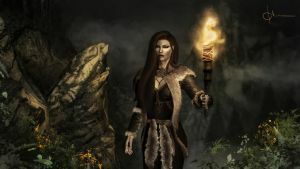 Anyone else getting a dead download link? Glad I found it! 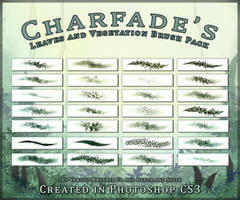 I used the pack here and gave credits nonetheless on both dA and facebook. Thanks for sharing!